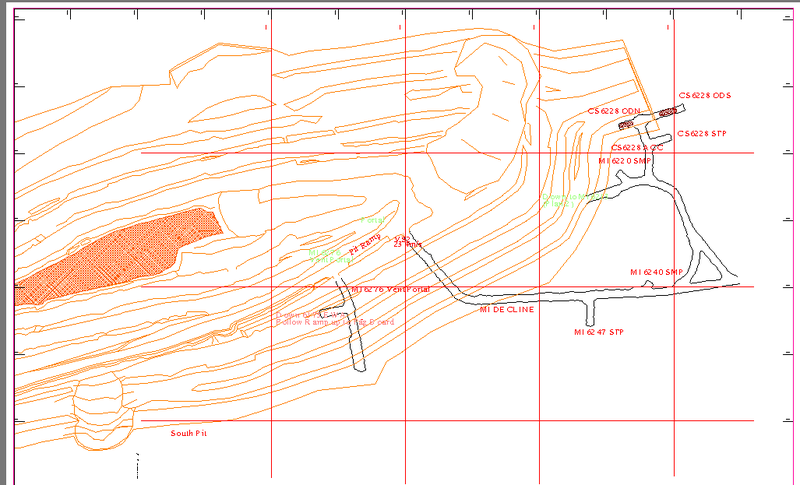 Mine Surveyors need to produce updated Emergency plans every 3 months and provide these plans to the Mines Department. This may require resizing existing plans which can be time consuming. The Emergency Plans typically have a text file containing all symbols and text that the Surveyor overlays onto an updated string and stope outline file. 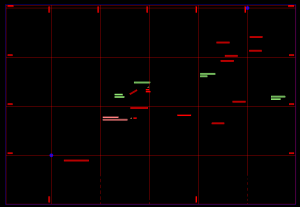 For this particular example, the original text file plot with the associated symbols and text was used with A3 emergency plans. This text plot now needs to be used for the A0 Mines Department plans. 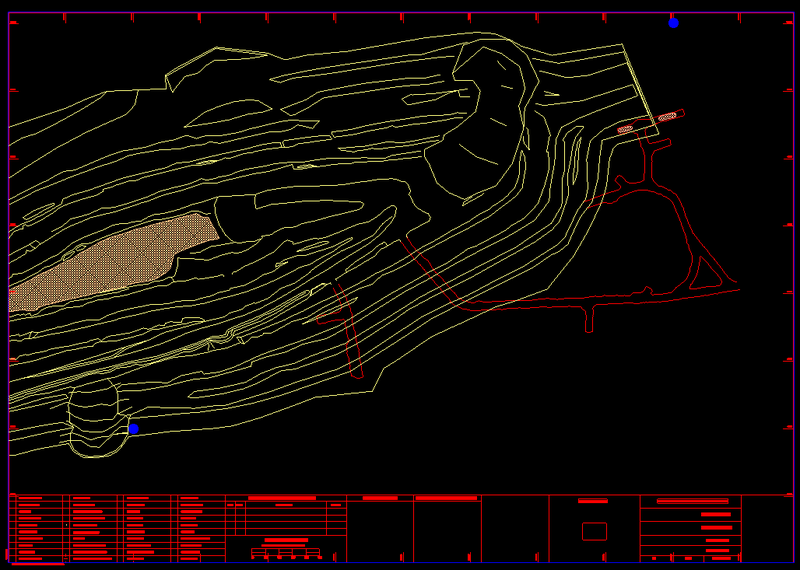 To save time in reproducing all the plans with the text, we recommend setting up plotting macros. 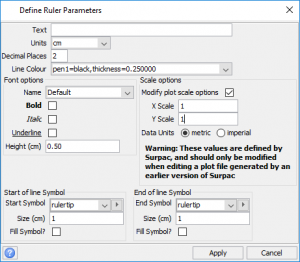 In this blog, we will work through the steps to rescale plots and append them together. 2. 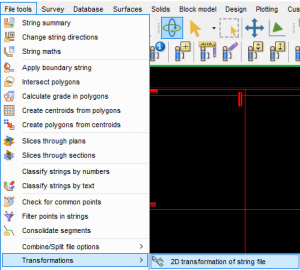 Drag and drop the DXF files into the Surpac graphics window and save as string files. 3. 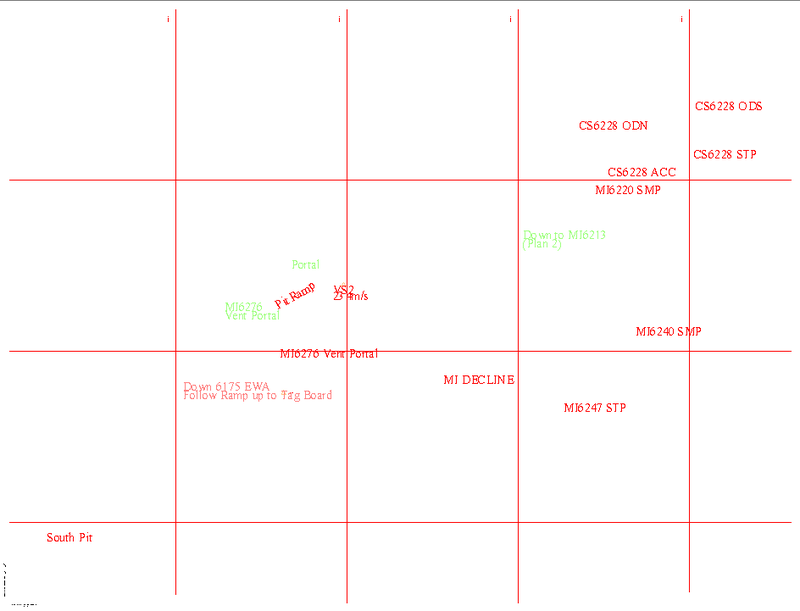 Look at the grid co-ordinates and locate or create common points on each of the plots. A minimum of 2 common points is required to scale (I am assuming this is right?) 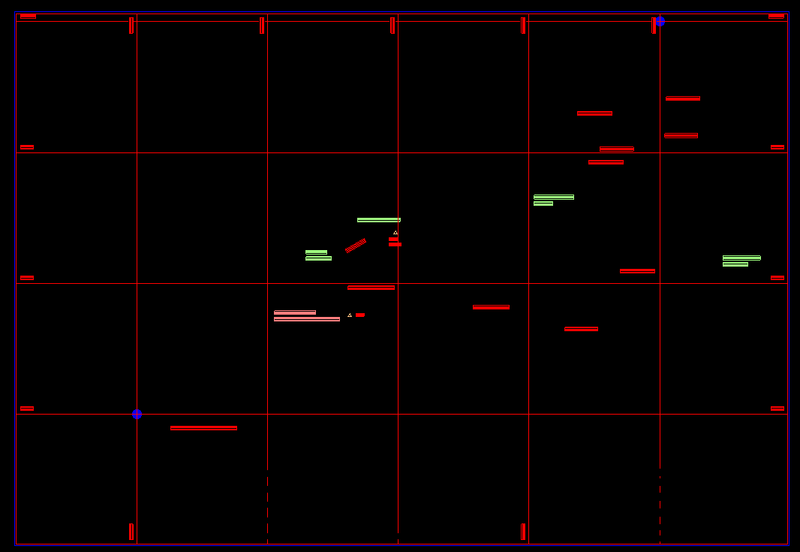 In this example the A3 has a full grid, and the A0 only has grid ticks on the boundary. 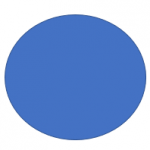 The common points are marked as a large blue dot. 4. The common points between the 2 are 9700E, 20900N and 1000E, 20500N. NOTE. 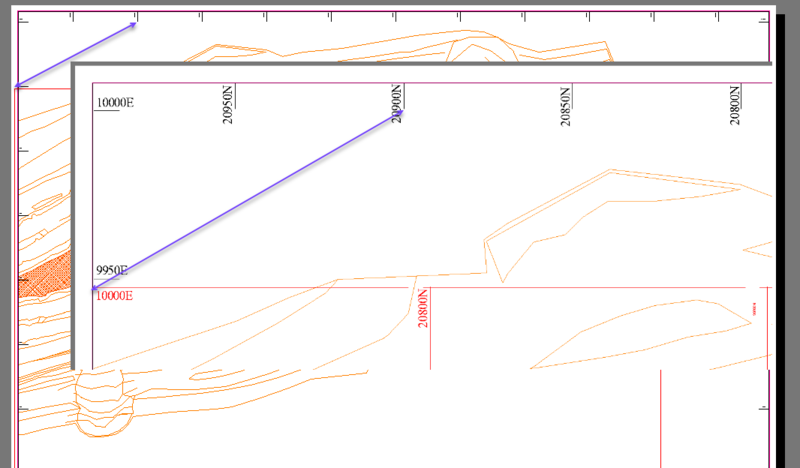 These are the plot co-ordinates, NOT the Surpac co-ordinates. 5. Once you have the Grid common co-ordinates, get the Surpac Graphic co-ordinates of each of these points. Location 1 is the bottom left, location 2 is the top right. 6. The A3 plot now needs to be re-scaled to A0. 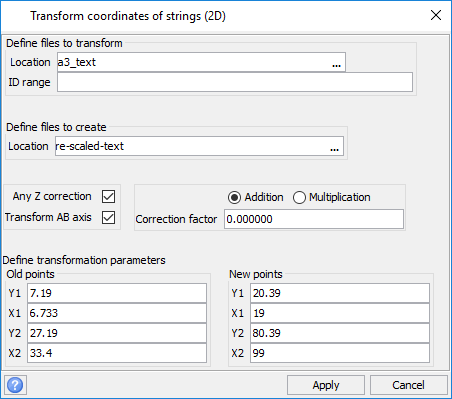 This can be done using 2d transformation. File Tools>Transformations>2D transformation of string file. Tick the box and accept the adjustments and apply. 7. 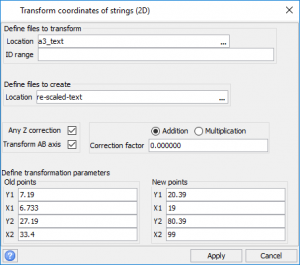 Open up the re-scaled A3 text dxf-string and the original A0 dxf-string. They now plot over the top of each other. 8. To get the A3 text to match the scale of the A0 plan for this example you need to generate the plot at a scale of 1:100. 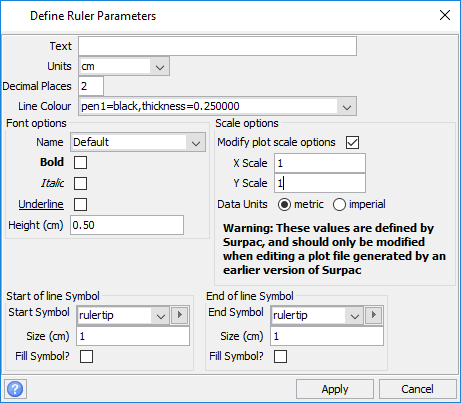 Use Autoplot and plot the text with the border and grid lines. 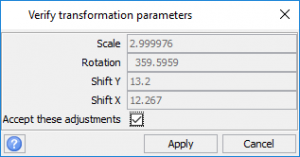 The grid will help you make sure the scale is correct and help you calculate the x and y moves during the combining (appending) process. 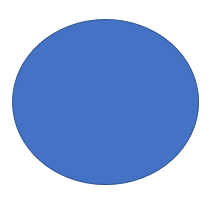 The result is shown below. 9. The 2 plots now need to be combined. Open the original A0 dwf plot. 10. In the plotting window File>open. 11. 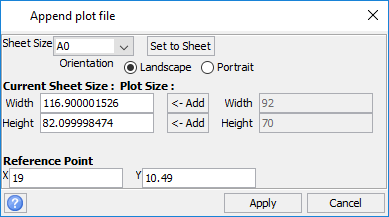 The text plot will be appended to the A0 plan plot. 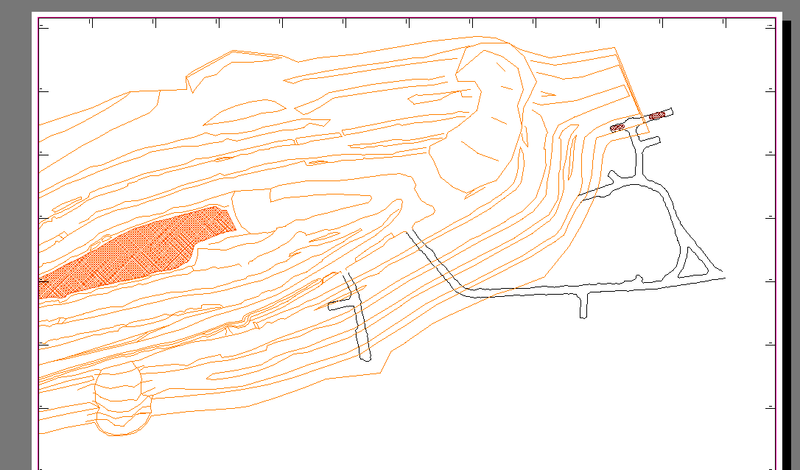 BUT it wont be in the correct postion due to different area’s covered by the to plot as you can see. 12. Using the Ruler we can measure the distance for the X shift and the Y shift. Make sure you set the scale for the ruler to be 1, and measure the distance for the move. We need to move the x 18.48cm and the Y 10.49cm. 13. Repeat step 9, but now fill in the x and y Reference Point. 14. Once you are happy with how it sits, save the new plot. 15. 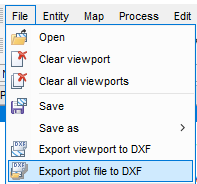 Open the new plot, use the selection tool to draw a box, right click and ungroup the items. Delete the grid lines, and the co-ordinates. 16. The text is now appended to the original A0 Plan. Save and print. With the process outlined above, Surveyors can easily rescale plots and append them together in just a few steps. This greatly accelerates the process of updating Emergency plans every few months. Kim Ferguson-Thomas has more than 20 years’ experience as a geologist in the mining industry, working in exploration, underground and open-cut mines within Australia. Stay up-to-date with mining news, product tips & tricks and more delivered to your email inbox! Submit your Tips & Tricks!